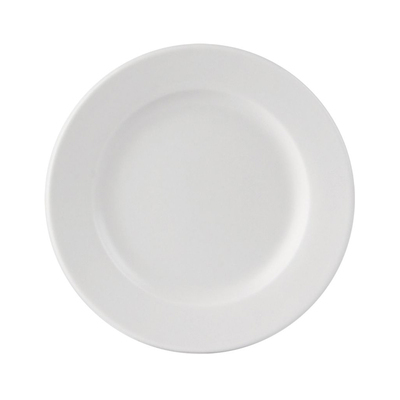 Designed to support those working environments that cater to larger groups, our Side Plate White is a vital resource. Each one has been manufactured from a hardwearing and vitrified porcelain that is suitable for cleaning in both dishwashers and by hand. As a side serving plate, it provides ample serving space for presenting any dish alongside your main meal with an extra durable construction that promises to hold up against repeated use. Provided in a pack of 6, this side plate offers everything a busy catering environment requires. Here at Gompels, we also stock Saucers, Stacking Tea Cups and Dinner Plates - everything you need to serve up the most delicious meals.